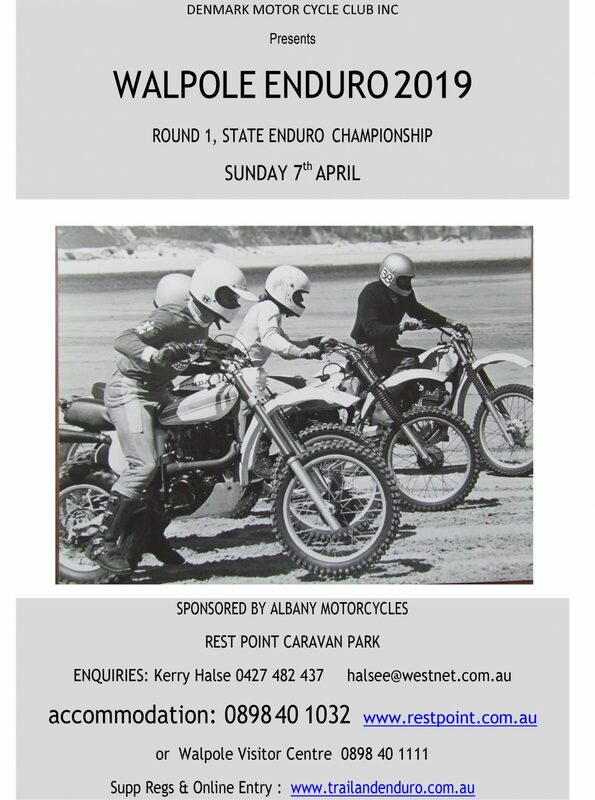 The Denmark Motor Cycle Club will again host the opening round of the the WA State Enduro Championship with this years event based in Walpole. DMCC has managed to move the date of the Enduro to accommodate the A4DE and will be held on April 7, 2019. ENTRIES ARE LIMITED TO 130. Entries accepted in order of application. NOTE: Clubman Class entries will not be available until one week after Championship Classes open. The Start/Finish area will be located at the Rest Point Holiday Caravan Park and accommodation can also be found there.